Any news about energy storage advancement is bound to make a splash. After all, storage is the main stumbling block for renewable energy—data from Bloomberg New Energy Finance reveals that over the first six months of 2017, California lost more than 300,000 MW of solar and wind power because there was no storage capacity. China is losing about 17 percent of its renewable power because it can’t store all of it either. On top of that, Bloomberg notes, utilities are shunning renewable energy because of the intermittent nature of solar and wind power generation. Energy storage is essential for the viability of renewables, leaving pioneers in the industry desperately searching for the only path toward increasing the presence of renewables in the energy market: finding suitable storage solutions. And to that end, there has been a string of new projects in the energy storage department. Last month, Tesla said it was starting to build the largest lithium-ion storage system in the world in Australia. Later that month, Siemens and AES announced a joint venture—Fluence—which will focus on energy storage system development and marketing. It sounds simple, and it also sounds cheap, which is a top priority in energy storage systems to make them commercially viable on a wide enough scale. Yet this X prototype seems to be in the preliminary stages of development, and years may pass before it’s market-ready. Meanwhile, other alternatives are popping up, too. 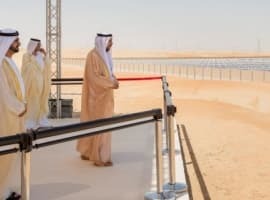 Earlier this year, a new battery that uses glass instead of liquid electrolytes received well-deserved media coverage. According to the researchers who developed it, the battery has at least three times the energy density of other lithium-ion batteries, and it has a longer life cycle (a minimum of 1,200 charge-discharge cycles), and it charges more quickly—in minutes instead of hours. On top of all of this, the low-cost battery—yes, it’s cheap—can work in both subzero temperatures (-20 degrees Celsius) and major heat (60 degrees Celsius). Then there is VIZn Energy’s utility-scale zinc-iron flow battery that—the company said last month—offers energy storage at a rate of only US$0.04 per kWh of energy. The low price was made possible by the longer lifespan of zinc-iron flow batteries, which can be up to 20 years. 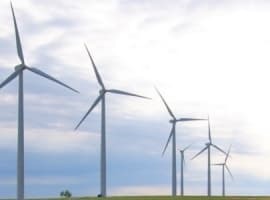 Yet there is a catch with this price: it only refers to storage systems yet to be paired with solar and wind generation capacity; that is, storage systems that qualify for the Investment Tax Subsidy. New energy storage system solutions will no doubt continue to make headlines as utilities, battery makers, and research labs scurry to grab a piece of a market pie that BNEF estimates could hit US$40 billion in investments by 2024. Already investments in energy storage are rising sharply. Just VC investments in the segment in the first half of this year reached US$480 million, up from just US$179 million a year earlier. Energy storage is the next stage in the renewables evolution, and it will be drawing even more attention in the future. "yes its cheap".....how much is cheap? Does America still have the Can Do Attitide? If we were building a system from scratch (politics aside) made up only from renewable energy sources one of the first things that would be done is to build large transfer capability East / West and North / South to tap into all the variable renewable sources across the Country. This would tie the great resources of hydro from the western states and Canada with the sun belt of the southwest and south and northern Mexico, to the wind belt across the plains states. Eventually added to this will be other energy technologies such as offshore wind and tidal generation currently still costly and just starting to be implemented commercially in Europe. Once complete we would no longer hear the misnomer that the sun don’t shine at night and the wind don’t always blow, instead we’d say: “they do, just not everywhere at the same time”. 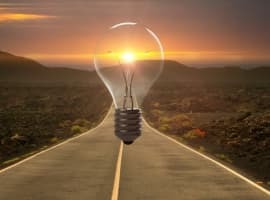 Once this is done then the marketplace would operate as expected and a mixture of the renewable technologies would be built that could be purchased by utilities across the Country, allowing them to seek the lowest cost at any particular time of day while suppliers seek the highest payback from consumers. In other words, the bigger the marketplace, the better opportunity for all involved and the lower the transaction costs. The transfer wires could be built for about the same cost as the Keystone pipeline. Since this requires needed rights of way and incentives, the Federal govt. should get involved, someone please tell the do nothings in Washington.